Meteorites are the result of fireballs called meteors which are larger versions of what people call shooting stars or falling stars, but meteorites aren't really stars falling or shooting for that matter; meteorites are rocks from outer space that came through earth's atmosphere traveling at thousands of miles per hour and, combining their initial speed with friction, produce massive heat and light. They can originate from a lot of places in outer space but the most common place are from asteroids, which are small bodies that are older than the earth itself. Earth's meteorites generally come from asteroids in the asteroid belt, which is the region of the Solar System located roughly between the orbits of the planets: Mars and Jupiter. They also come from other planets, this occurs when another meteorite hits a planet hard enough to eject pieces of the surface of that planet into outer space, and eventually some of those pieces happen to cross earth's path and fall as meteorites on earth's surface. What people call shooting stars or falling stars don't produce meteorites because the rock that makes the small meteor (shooting star effect) disintegrates by ablation in earths atmosphere before it can reach the ground. But even tho we don't see many fireballs, meteorites hit the earth all the time and they even fall on you, your car, your dog and your house, but these meteorites are small, very small, so small you cant see them without a magnifying glass, these are micrometeorites and they come to earth as dust particles. Now even tho we don't see many fireballs there are thousands maybe millions of meteorites on earth and this is because meteorites have been falling to earth for billions of years and there everywhere, there could even be one in your backyard. The probability there is one in your back yard depends on how big your back yard is and how far down your willing to dig. It has been said by the great meteorite hunters that there could be as many as 1 or 2 meteorites per square mile worldwide average. If your house is in the middle of an unknown strewn field tho then that's a whole other matter and you could have as many as a few hundred. Before it enters the atmosphere, it is a meteoroid - a small rock orbiting the sun. When it enters earth's atmosphere it's a meteor. If anything remains and lands on the earth you got a meteorite. Visit the Meteorite Hunting Headquarters. Stony, Iron, stony-irons and planetary. Each of these types have their own characteristics and sub classes but there are some characteristics that are shared among all and are due to the nature of meteorites. 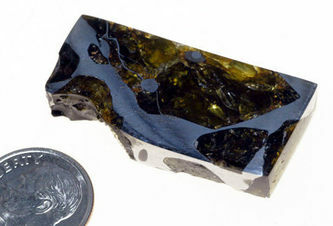 These shared characteristics are: fusion crust which is a black surface crust which appears melted, ablation which appears as thumbprints called regmaglypts as if it were black molded clay and they posses magnetic properties, a magnet will attract a meteorite due to its iron-nickel metal content (this is an exception in planetary meteorites which are not very magnetic). The type of meteorite produced depends on where it came from. When a meteorite comes from an asteroid parent body it can come from 3 places within that body: the core, the crust or from somewhere in between like the mantle. 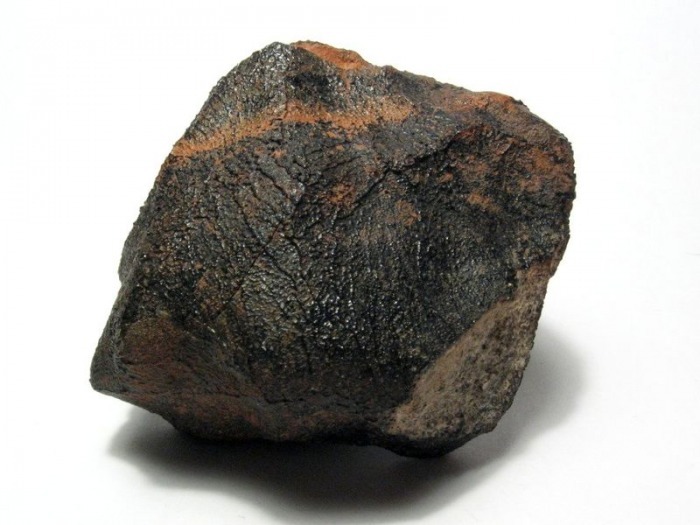 The fourth type of meteorite is the planetary type and that usually comes from the mantle of the planet parent body. This could also be from a satellite like the moon or from a miniature or dwarf planet. 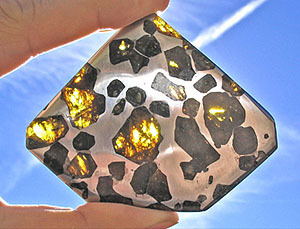 Collecting and hunting meteorites is a interesting, unique, lucrative and fun business! Hear the stories from the pros! These are well established meteorite hunters that do this type of thing for a living and many have nice collections, which you can check out in the meteorite collections link in the main menu. From the new show on the Science channel Meteorite Men! If you think you have a meteorite you can test for nickel iron! Brenham , Kansas, USA. In 1890 the find of about 20 masses with a total weight of 1000 kg around the shallow Haviland Crater were reported. More masses were found later, including one of 1,000 pounds (454 kg) from a depth of 5 ft, the total amounting to about 4.3 t. A piece of 487 kg is in the Field Museum of Natural History, Chicago. In 2005, Steve Arnold of Arkansas, USA, and Phil Mani of Texas, USA, unearthed a large mass of 650 kg and in 2006 several new large masses. Huckitta , Northern Territory, Australia. A mass of 1400 kg was found in 1937, a transported piece of about 1 kg was already found in 1924 at Alice Springs. Fukang , Xinjiang Province, China. A mass of 1003 kg was recovered in 2000. Imilac , Atacama Desert, Chile; known since 1822. Numerous masses up to 200 kg were found, the total weight is about 920 kg. Brahin , Gomel Region, Belarus, known since 1810. Many masses were found in a strewnfield, with a total weight of about 820 kg. An additional mass of 227 kg was found at a depth of 10 ft in 2002. Esquel , Chubut, Argentina. A large mass of 755 kg was found embedded in soil before 1951. Krasnojarsk , Yeniseisk, Russia. A mass of about 700 kg was detected in 1749 about 145 miles south of Krasnojarsk. It was seen by P.S. Pallas in 1772 and transported to Krasnojarsk (see above) The main mass of 515 kg is now in Moscow at the Academy of Sciences. 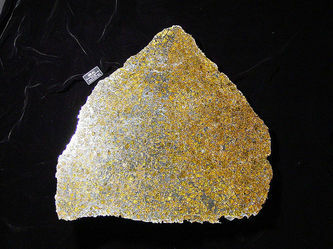 Interestingly, a pallasite of 198 kg was found in 1990 near the town Pallasovka, which was named in honour of P.S. Pallas, who studied the geography of this area during his travels in the 18th century. Click on pictures below for a closer view of the Stony-Iron meteorites! The Pallasites! Come from the surface of asteroids and they are made up of a mix of materials that form the parent body (the original asteroid where it came from). So they have certain characteristics that are particular to their type. 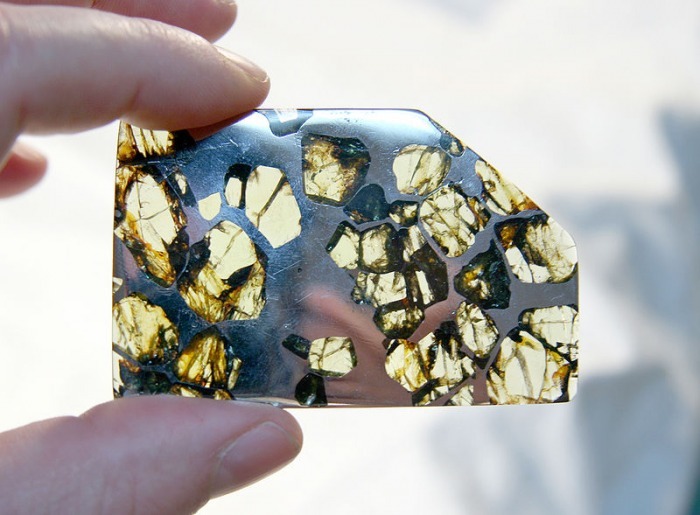 The first thing that distinguishes them is that they have Chondrules that can be seen when you cut it open or sometimes when the fragment has a revealing edge broken off. 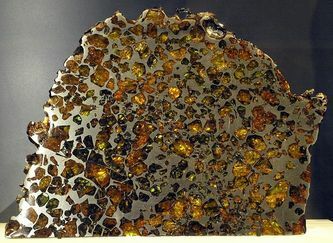 Chondrules are round spheres, and they are formed by a rapid heating (within minutes or less) of solid material to temperatures between 1500°C and 1900°C and subsequent melting. This is followed by a cooling within one to several hours. This is what happened at the very beginning of time, even before the earth was formed. 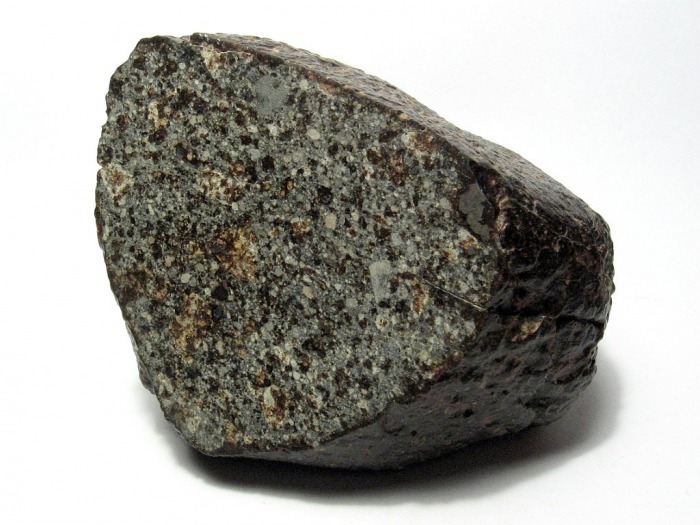 It is for this reason that stony meteorites are called Chondrites. 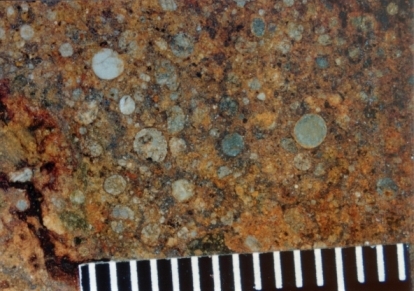 But there are also Stony meteorites that are Achondrites (that contain no chondrules). 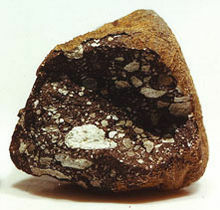 Achondrites account for about 8% of meteorites overall, and the majority (about two thirds) of them are HED meteorites, originating from the crust of asteroid 4 Vesta. 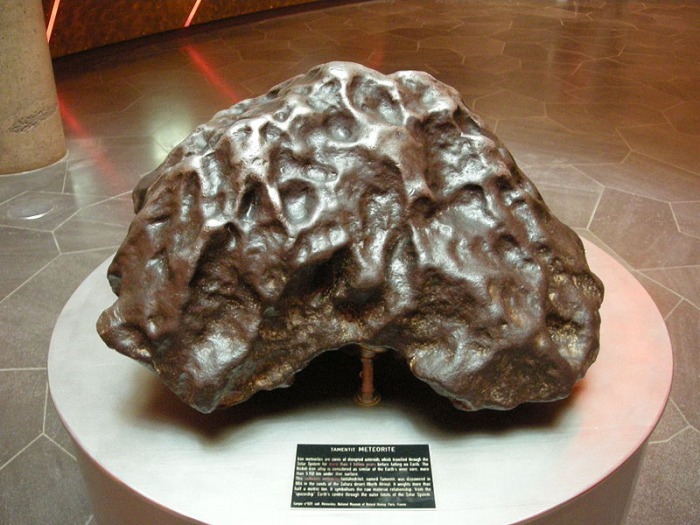 Other types include Martian, Lunar, and several types thought to originate from as-yet unidentified asteroids other than Vesta.These are much more valuable and come from planets as well, so the planetary type of meteorite is actually a stony type meteorite. 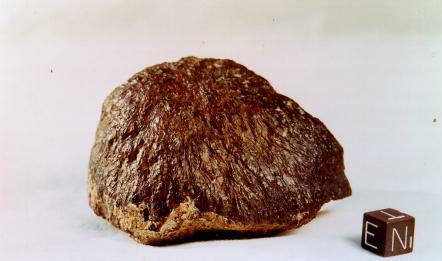 The first meteorite to be recognized as originating from the Moon was Allan Hills 81005, which was found in 1982. 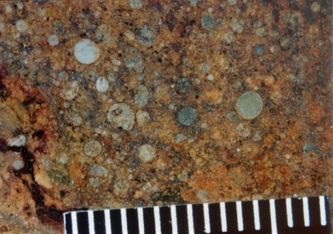 The fact that these rocks came from the Moon has been established by comparing their mineralogy, chemical composition, and isotopic composition with those of the Apollo samples. The regular Chodrites come in various sub classes according to their Iron-Nickel content. They are also more magnetic due to higher metal content than achondrites and can be found using metal detectors. 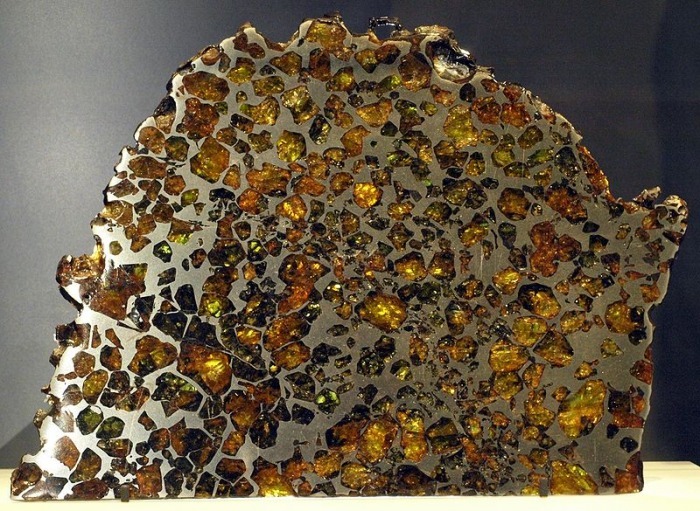 Click on pictures below for a closer view of the Chondrules! Its good to get a look at as many meteorites as possible to get a good idea on how to correctly identify them. There are many websites that sell them but there are also fakes. 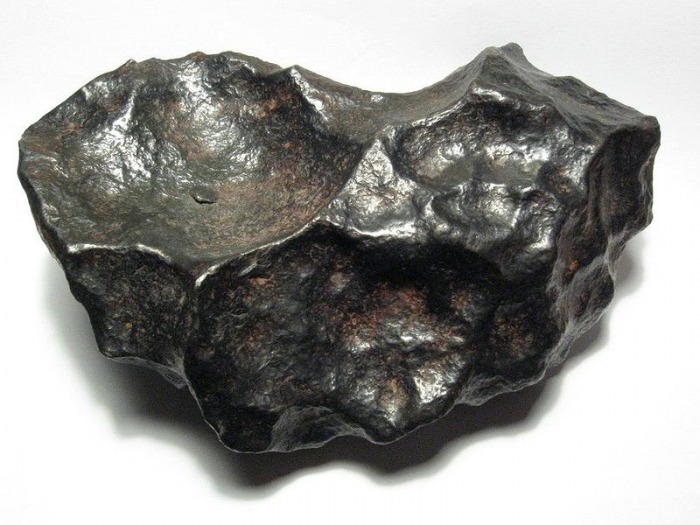 Can you identify the real meteorites from the meteorwrongs? 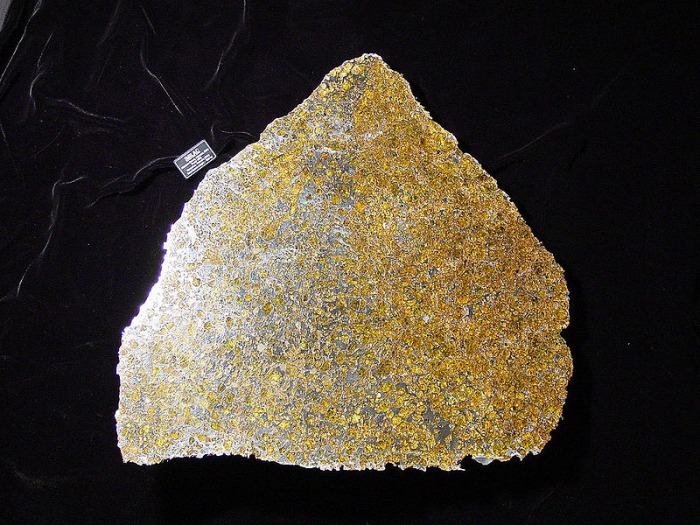 There are many places that sell Achondrites and other types of meteorites, you can get a good idea of the differences in between Chondrites and Achondrites as well as price differences. By searching online. 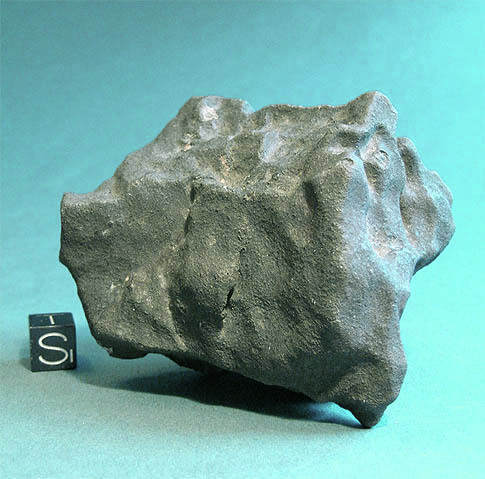 Account for almost 90% of the mass of all known meteorites, about 500 tons. All the largest known meteorites are of this type, including the largest -- the Hoba meteorite. 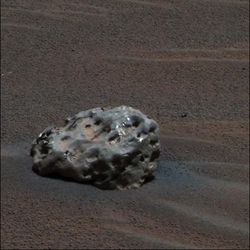 These are the most obvious and easiest type of meteorite to identify. 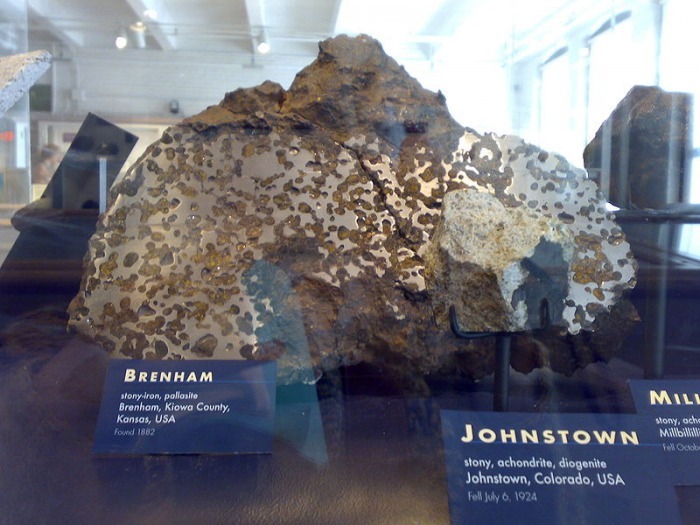 While they are fairly rare compared to the stony meteorites, comprising about 5.7% of witnessed falls, they have historically been heavily over-represented in meteorite collections. 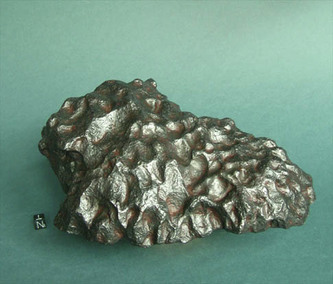 The characteristic that most distinguishes this type of meteorite is its density or weight for its size ratio. They are much more resistant to weathering but they do tend to rust and they are much more likely to survive atmospheric entry, and are more resistant to the resulting ablation. Hence they are more likely to be found as large pieces. 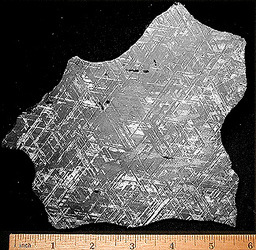 Another characteristic that sets them apart are the widmanstatten lines that show when they are cut and etched with acid. 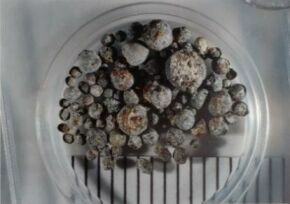 Click on pictures below for a closer view of the Iron meteorites! Just as with the stony type meteorites Iron type meteorites are also sold by many collectors, but these are more easily replicated and it takes a keen eye to spot the fakes. Can you spot the fakes on collector's websites and identify the true ones.